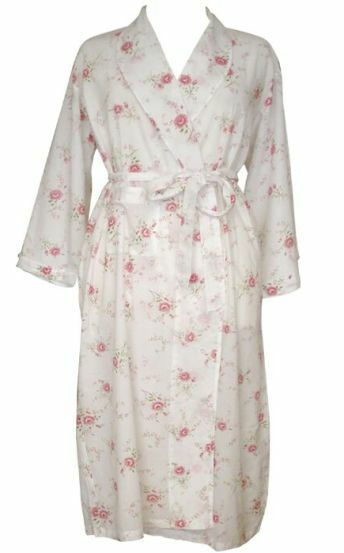 New for Summer/Autumn 2017, this delightful very soft fine pure 100% cotton Shawl Collar robe is printed with an exquisite pastel rose design. Perfect for travel or for those of you who prefer a lighter weight robe. Available in Small, Medium and Large sizes.